Dr. Adrian B. Mims Sr.
Dr. Adrian B. Mims Sr. is the founder of The Calculus Project, a program that was derived from his dissertation, Improving African American Achievement in Geometry Honors. The goal of the project is to increase the number of Black, Hispanic and low income students enrolled in Calculus Honors, AP Calculus and AP Statistics so they can pursue careers in STEM (science, technology, engineering and mathematics). The Calculus Project was inducted into the Minority Student Achievement Network’s Promising Practices Clearinghouse in 2011. In 2012, the College Board awarded Dr. Mims the Asa G. Hilliard Models of Success award for his commitment to closing the achievement gap for African Americans in mathematics and the Dr. Carlene Riccelli Assembly Leadership Award. In 2016, Dr. Mims was honored by Amtrak and the Boston Celtics where he received the Amtrak Pioneer Award for his work with Boston youth through The Calculus Project. In 2016, the Minority Achievement Office for Orange County Public Schools in Orlando, Florida, announced plans to implement The Calculus Project in the ninth largest school district in the country. The Calculus Project is also serving students in several school districts located in Massachusetts, Illinois and New York. Dr. Mims currently serves as the National Calculus Project Director at Cambridge Education and the Executive Director of The Calculus Project and Leadership Academy, a program Dr. Mims started at Boston University in 2015. In both roles, his research focuses on developing sustainable practices in secondary and post-secondary institutions that closes the achievement gap in mathematics for students of color and low income students. 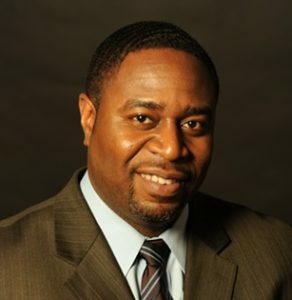 Dr. Mims received his Bachelor of Science in Mathematics from the University of South Carolina, a Master of Arts in Teaching Mathematics from Simmons College, a second masters in Educational Leadership from Simmons College, and his Doctorate in Educational Leadership from Boston College. Currently, he serves on the boards of SCS Noonan Scholars, Accelerated College Experiences (ACE) and the Math Advisory board for EdVestors. Dr. Mims continues to work on education equity issues with the College Board where he served as a trustee for four years.